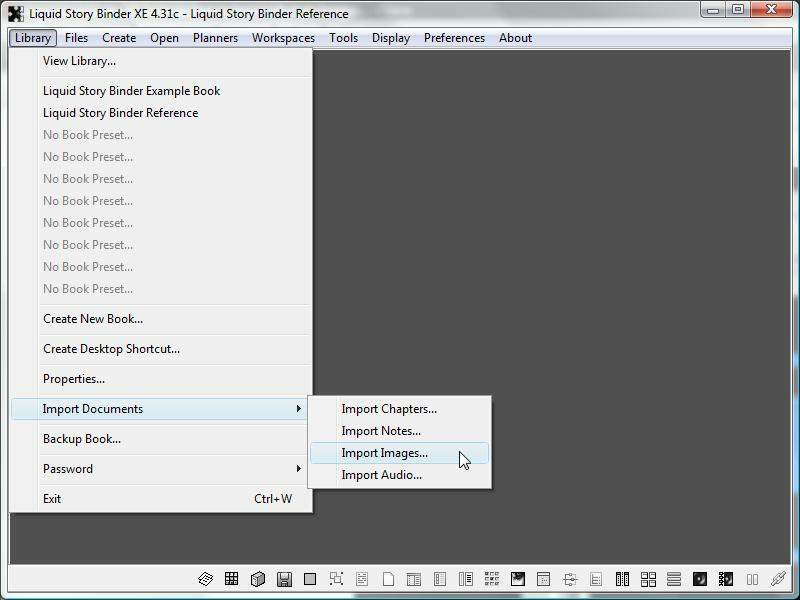 Images are a key element in Liquid Story Binder. They are used in Dossiers, Storyboards, and, of course, in Galleries. You may add an unlimited number of reference images to help with your writing experience. 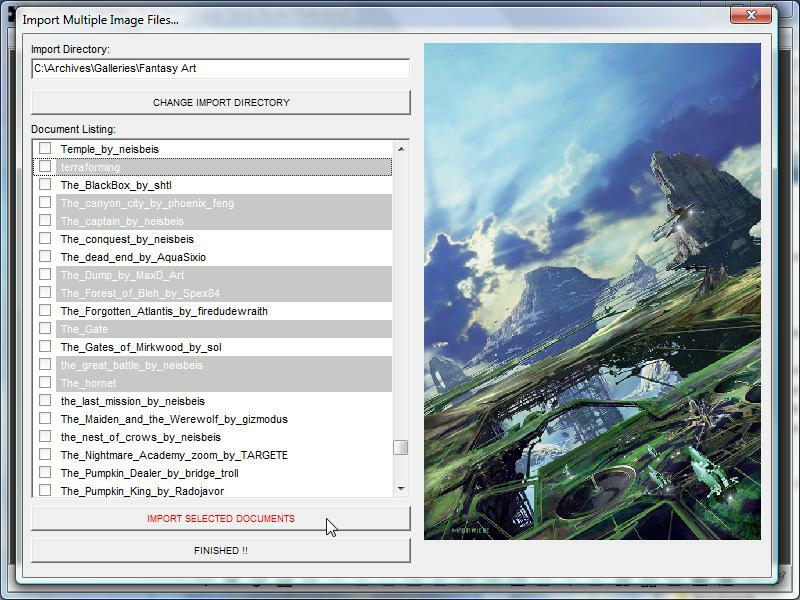 To import multiple images, choose 'Import Images' from the main 'Library' menu. Select the images you wish to import, previewing them to the right. 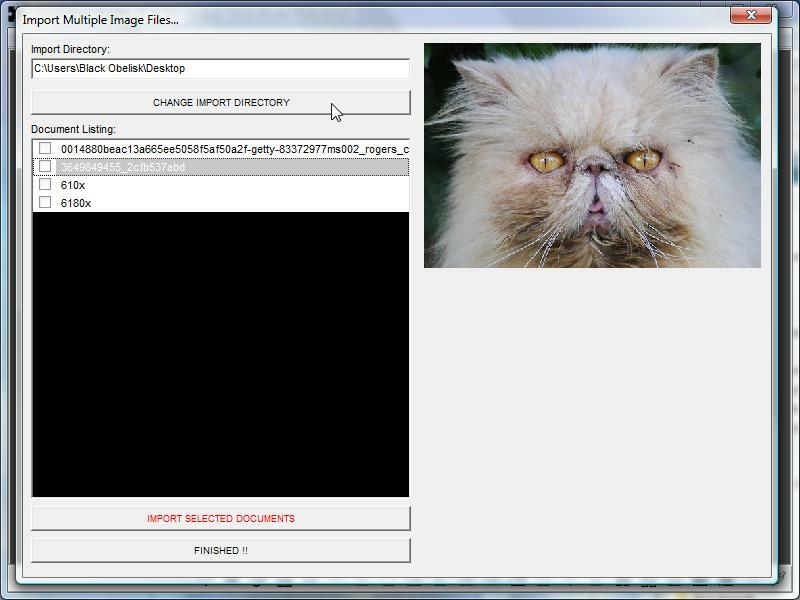 Click the 'Import Selected Documents' button to copy these images to the current book. Please note that your original images remain unchanged.